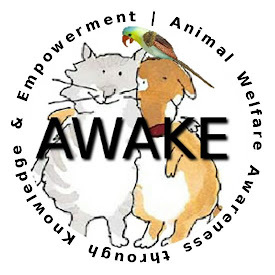 AWAKE, Animal Welfare Awareness through Knowledge & Empowerment, was started in order to provide victim support and information concerning the illegal seizure of animals by Animal Control and the Humane Society throughout the US. We will be starting a foundation in the near future in order to collect funds to help pay the legal fees of those victims who cannot afford to pay for lawyers on their own. They are often the chief target of these senseless crimes, and many of them lose their livelihood along with their animals. In the meantime, we are accepting donations that will go towards organizing and promoting this Web site.